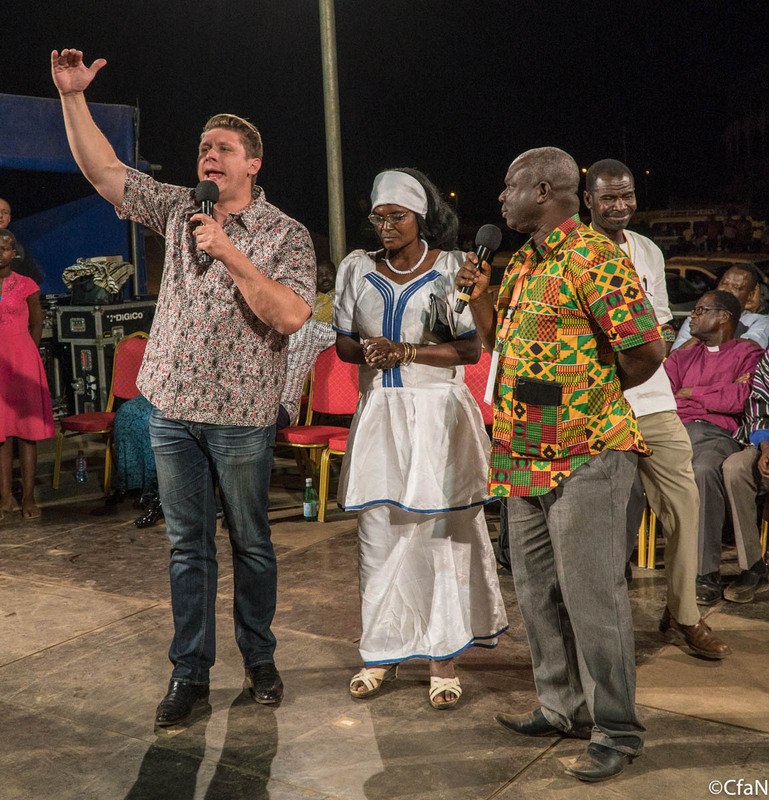 I’ve just returned from the field on this final night of our Gospel campaign here in Tamale, Ghana. The crowd more than doubled tonight! It was a huge breakthrough. 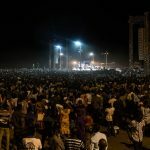 Behind the platform, more than 35,000 people stood in the darkness. These were mostly Muslims who had come to the meeting despite the prohibition of local Imams. 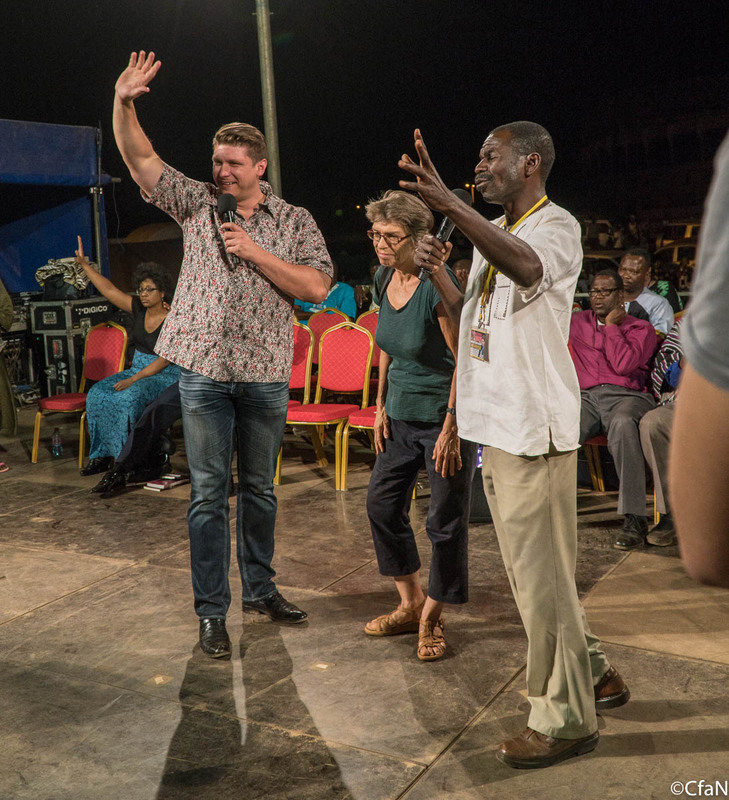 When I gave the invitation to receive Jesus, thousands of them lifted their hands and prayed with me. 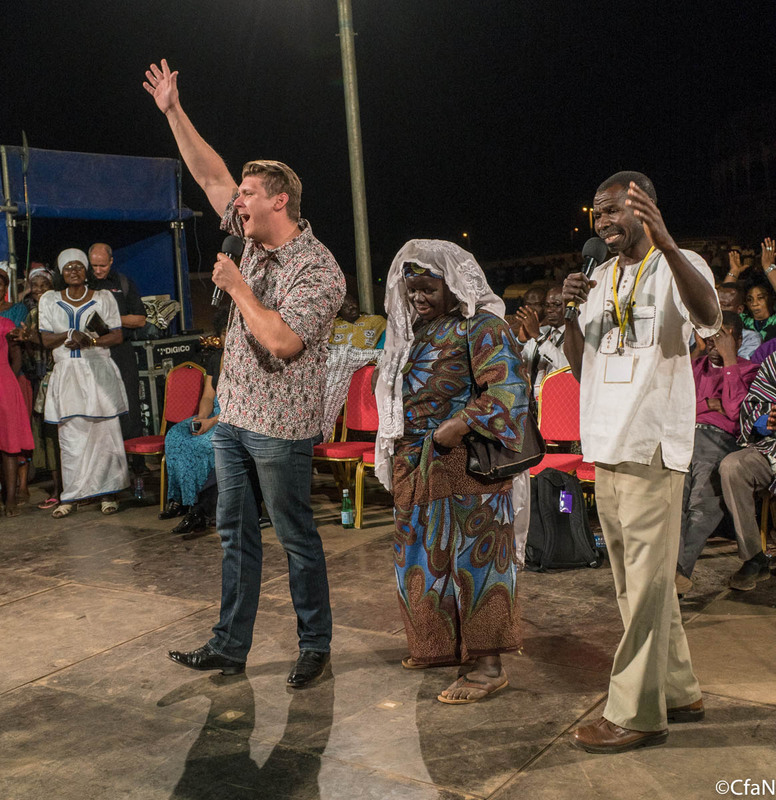 Heaven is rejoicing tonight and Tamale will never be the same again. 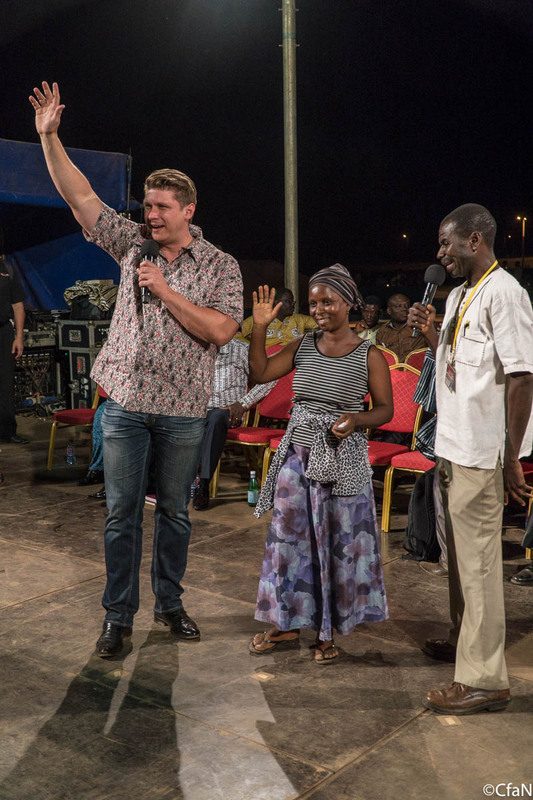 After the prayer for the sick, we heard wonderful testimonies. An old Muslim lady who could not walk and who also had severe pain in her leg and shoulder, was listening to the radio last night. 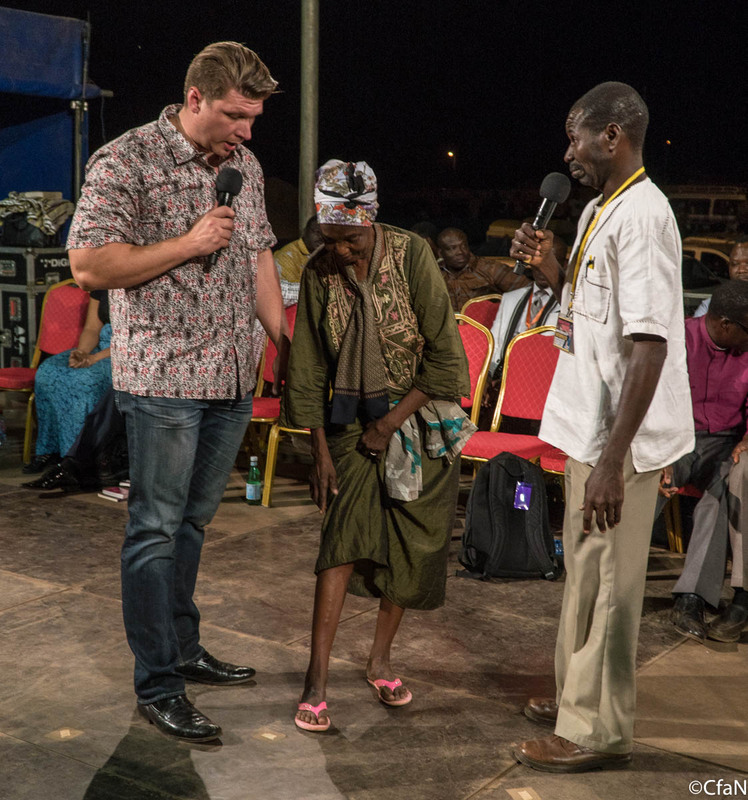 When I prayed for the sick, she put her hand on her body in faith and Jesus touched her. Tonight, she could walk perfectly and gave the glory to Jesus. 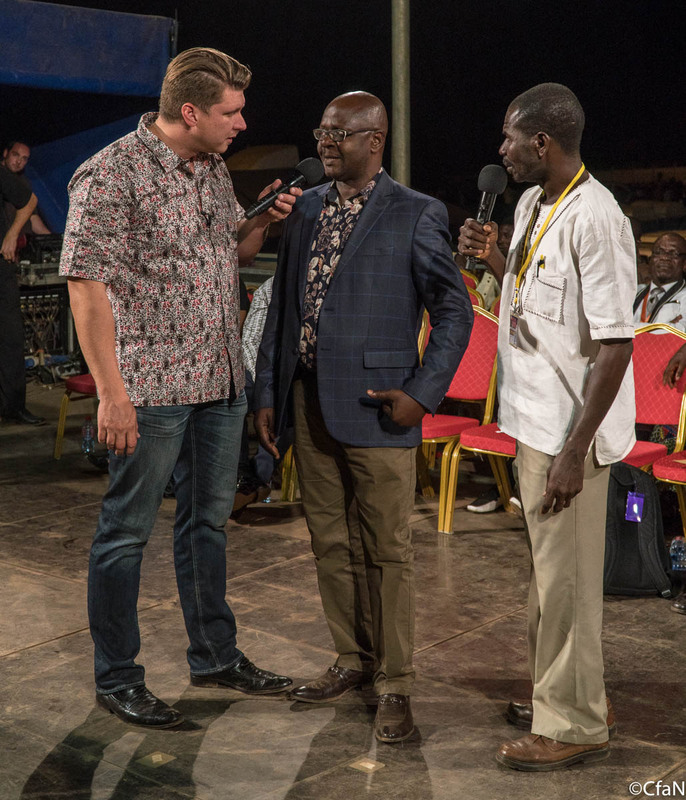 We have no way of knowing how many people were reached this week through the live daily radio broadcasts, but I am sure that the power of God went out through the airwaves! Last night, I had a word of knowledge about someone whose sinuses were blocked by a growth. 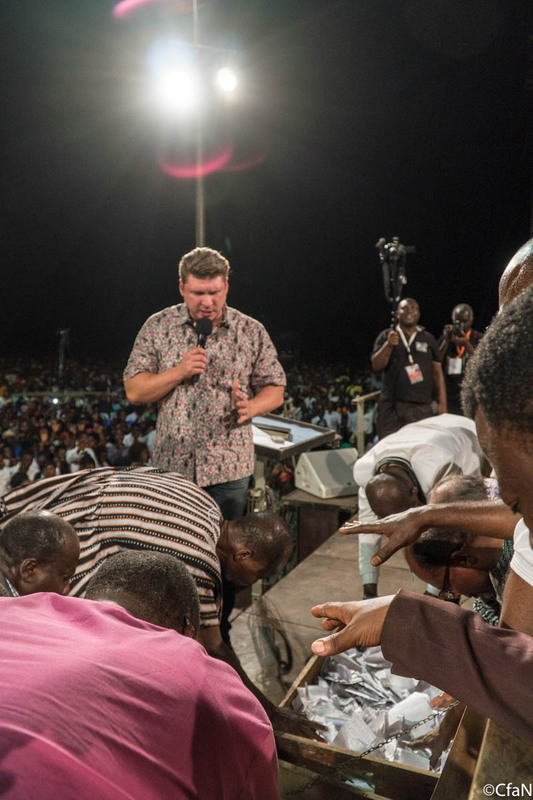 Tonight, a British lady came and testified that she had not been able to breathe through her nose due to an obstruction in her sinuses since she was 7 years old. 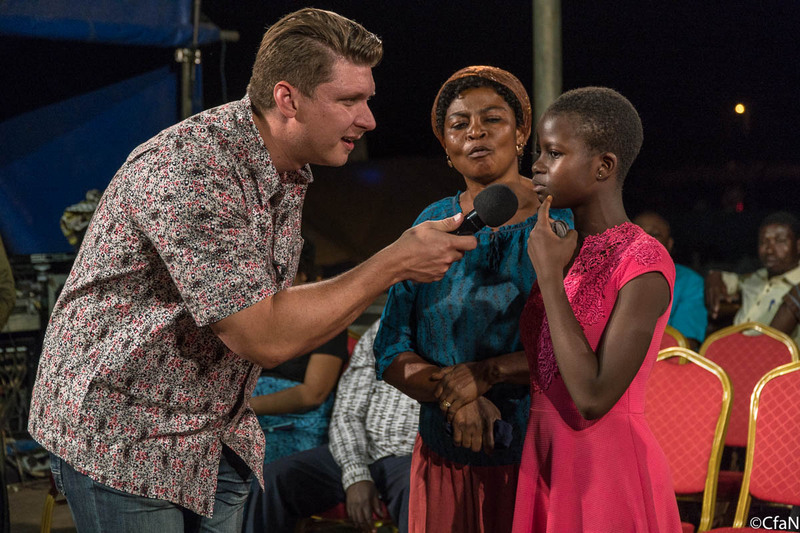 After the prayer for the sick, her sinuses opened up and she can now breathe through her nose for the first time since she was a child. 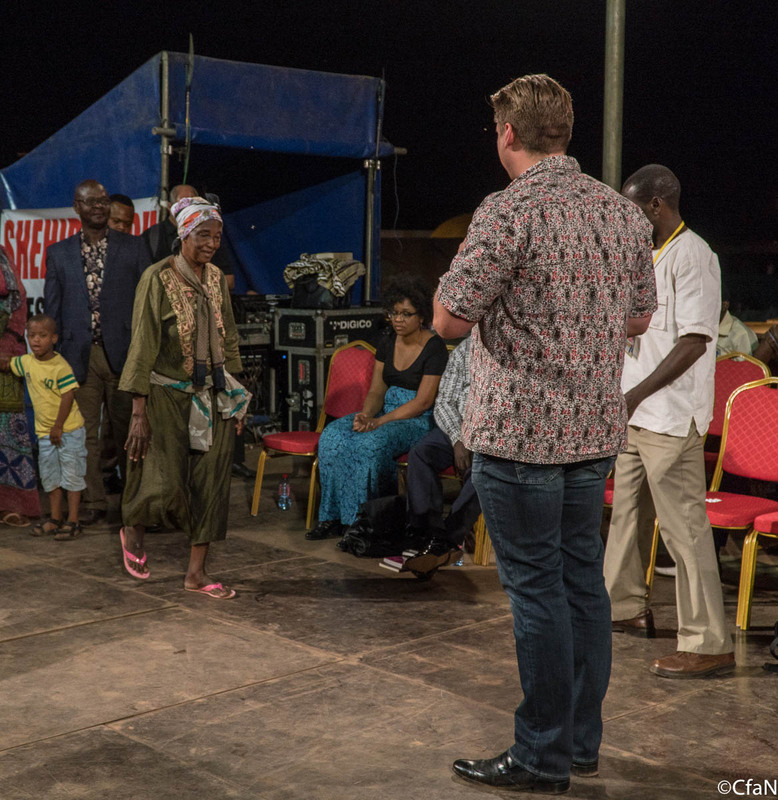 A woman who, was crippled for the last three years, walked tonight! A man with severe pain in his leg said that it instantly vanished. 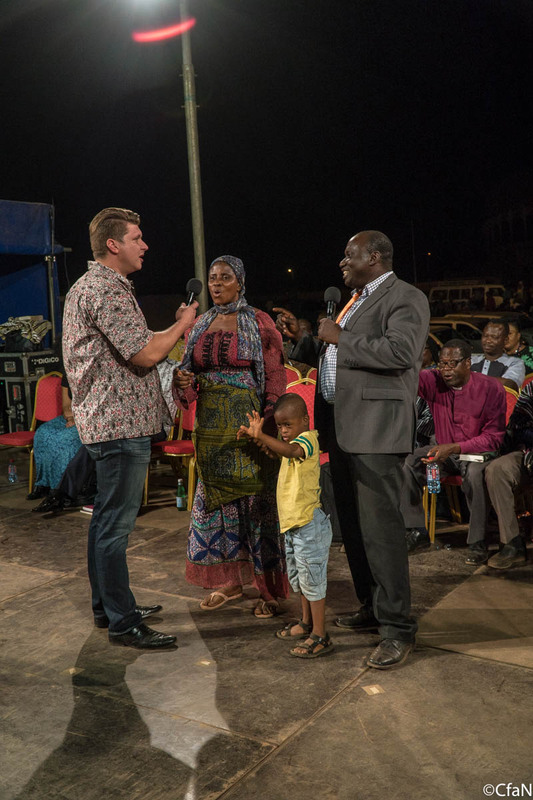 A woman with a painful infection in her breast, thought to be cancerous, said that during the prayer she felt the infection leave and all pain is now gone. 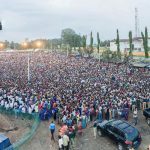 When I asked how many had received a miracle over the course of the week, literally thousands of people waved their arms enthusiastically! We now set our sights on Ivory Coast where our next campaign takes place in March. I will report back on the registered decision cards as soon as the count is in. She was healed while she was listening to the radio yesterday. She had pain in her leg and back for 26 years. She was suffering from fibroid for 25 years. No more pain since this morning anymore. Her sinuses got damaged when she had a surgery at age 7 to remove her tonsil. She couldn’t breath through her nose properly. Now she is healed and can breath through her nose. 3 years ago she stepped on something and her leg got swollen and her leg got paralyzed. Now she has no more pain and can walk with that leg again. She got healed yesterday. He had pain in his left leg. He has no more pain now. She had pain in her right chest. Since Thursday she has no more pain. The boy couldn’t talk since birth…. nobody was able to translate the rest the mama spoke in her language.